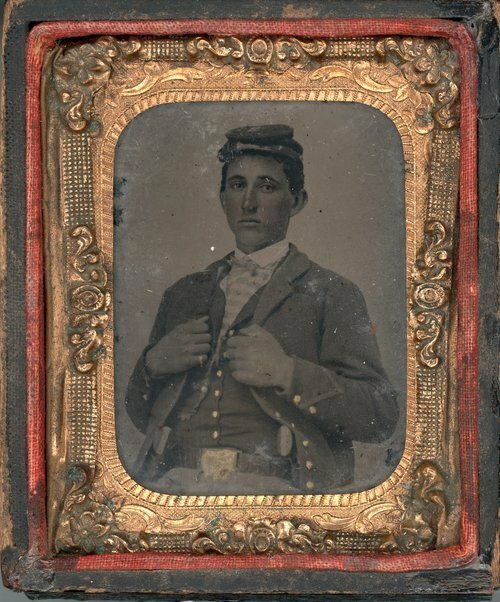 A tintype portrait showing Jeremiah S. Coffman, a resident of Jefferson County, in his military uniform. Coffman was a member of Company E and later Company M, Eleventh Kansas Volunteer Cavalry. Coffman enlisted on March 22, 1864 and was mustered out September 26, 1865.